Lily Allen attends the Dior Homme Menswear Fall/Winter 2019-2020 show as part of Paris Fashion Week on January 18, 2019 in Paris, France. Lily Allen accessorized with a simple black cross-body bag. Lily Allen finished off her outfit with a pair of metallic pumps. Lily Allen paired her jacket with black satin pants. 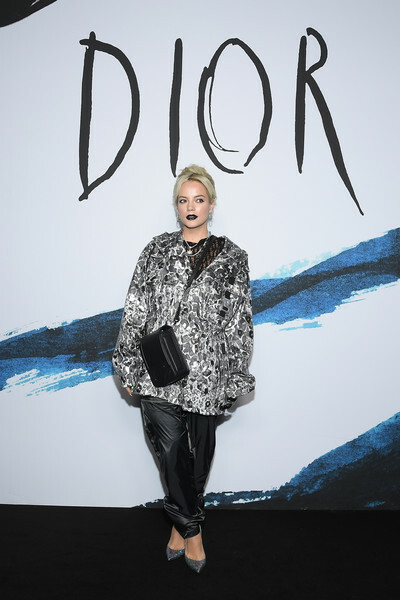 Lily Allen attended the Dior Homme Fall 2019 show wearing an oversized printed jacket.